I would guess that even today serious model railroaders would be few and far between who never owned some Rivarossi model train equipment. This Italian company, now part of international conglomerate Hornby, manufactured for years in the resort town of Lake Como, Italy, on the border of Switzerland. Many link Rivarossi with Associated Hobby Manufacturers (AHM), but there is more to the story. Having worked on a number of special projects for AHM’s Bernie Paul and knowing some of the story, I’m happy to share some knowledge and memories to help document this important hobby history. The founder of Rivarossi, Alessandro Rossi was born in 1921 and grew up in a well-to-do business-oriented family. Rossi was a model train enthusiast from childhood, and grew up with Hornby’s British model trains. Rossi was a graduate engineer of Milan Polytechnic and was in the Italian army during World War II. Rossi was made an officer as were most college graduates, and his engineering background assured him a place in the engineer corps, which did military construction and demolition. After the war, Rossi bought a portion of a factory that manufactured electric motor parts in 1945. Once up and operating, the new firm of Rivarossi offered Italian-prototype models, and was one of the first model train makers in Italy. At that time most model locomotives were made of die-cast or stamped metal, thick Bakelite or other early plastic-type materials were also employed. 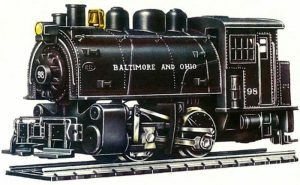 In addition to the Italian locomotives, one of the early products was a rather crude replica of Baltimore & Ohio Railroad’s 0-4-0 Dockside or “Little Joe” locomotive. In a magazine interview, Mr. Rossi reported that he had never been satisfied with the original model, for it had been designed from just a few photos as reference. Alessandro Rossi was a forward thinker, and was impressed at a Milan trade show exhibit demonstrating the versatility of new plastics. Soon afterward, Rivarossi began using injection-molded styrene plastic for its model trains. Italian mold makers have long been known worldwide for their great skill and are, in part, responsible for the high quality of Rivarossi’s products. The painting and lettering of the models was always of very high quality, only occasionally resorting to decals. Rivarossi’s models operated on HO scale track. However, in the late 1940s, motors that could fit in 1:87th scale small Italian prototypes were not available, so models were made in slightly largerthan- scale proportions. At the time, most European manufacturers were more interested in making toys rather than scale models. As a result, products of this era from such makers measured out to be 1:80-to-1:82 proportions, but were all considered and marketed as “HO.” One of the first pushes for scale standardization came in the mid-1950s with the MOROP organization, whose NEM standards gained acceptance with the European manufacturers. 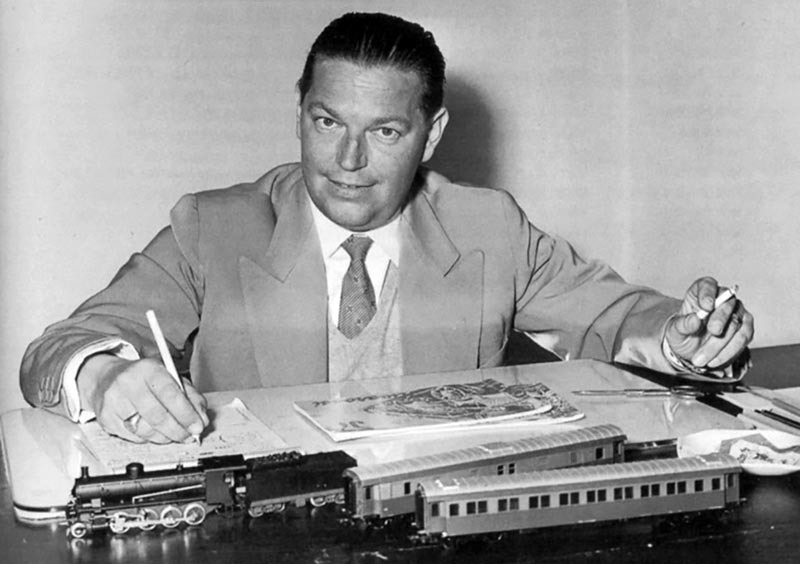 The man behind Rivarossi, Alessandro Rossi, is shown with early production samples of the company’s model train efforts. Mr. Rossi liked American prototypes, and his company introduced a 1:82nd scale Southern Pacific A-6 class Atlantic 4-4-2 in 1952 and also a 4-4-2 streamlined Hiawatha engine. Around the start of the 1950s, Polk/Aristo-Craft imported Rivarossi trains to the U.S. Irwin Polk, brother Nat, and later, Lewis Polk were the principals of this firm, which imported many foreign manufacturers’ products to the U.S. under the Aristo-Craft name during the 1950s and into the 1960s. In 1957, Lionel began importation of Rivarossi-made trains. Featured was the Fairbanks-Morse C-Liner diesel, some steam locomotives, and assorted rolling stock. After much promotion of the HO line, many displays, print advertising, and elaborate catalogs, Lionel only imported Rivarossi model trains for about a year. Bernie Paul, a native of Philadelphia, is said to have started in the hobby business by selling balsa wood airplane models at his mother’s candy store. After World War II, his business, Associated Hobby Manufacturers (AHM) grew to become a powerhouse in the hobby. Paul’s businesses included not only AHM’s retail operation, but several other companies including hobby distributors and manufacturing. His death in 2010 marked the end of his model train company, but he will be long remembered as being one of the great influences in the model train business. After international business travel became possible shortly after World War II, Bernie Paul began making a trip around the world every year to visit hobby and toy manufacturers with the intent to find promising new lines of hobby items that AHM could sell in the U.S. In a visit to Rivarossi’s plant in Como, Italy, Bernie Paul met with Alessandro Rossi. Paul was very impressed with their manufacturing capabilities and with the detailing they were achieving with the new technology of injection-molded plastic model trains. At the time of the meeting between Paul and Rossi, the agreement between Lionel and Rivarossi had just concluded. Rossi was looking for a dynamic American importer. Without question, Rivarossi’s models were the best products in the AHM model train line through the years, but there were products of various other makers that included handmade Japanese brass locomotives, structure kits from Heljan of Denmark and Pola of West Germany. Many steam locomotive kits on the U. S. market at that time were freelance and a bit crude compared with the coming generation of detailed injection-molded plastic Rivarossi models patterned after specific prototypes. Bernie Paul saw the Rivarossi line as high enough quality to be sold in hobby shops, but also could be sold at low-cost in chain stores and department stores. This concept of serving two markets would assure large quantities would be sold to pay the high initial cost involved in tooling up new models. 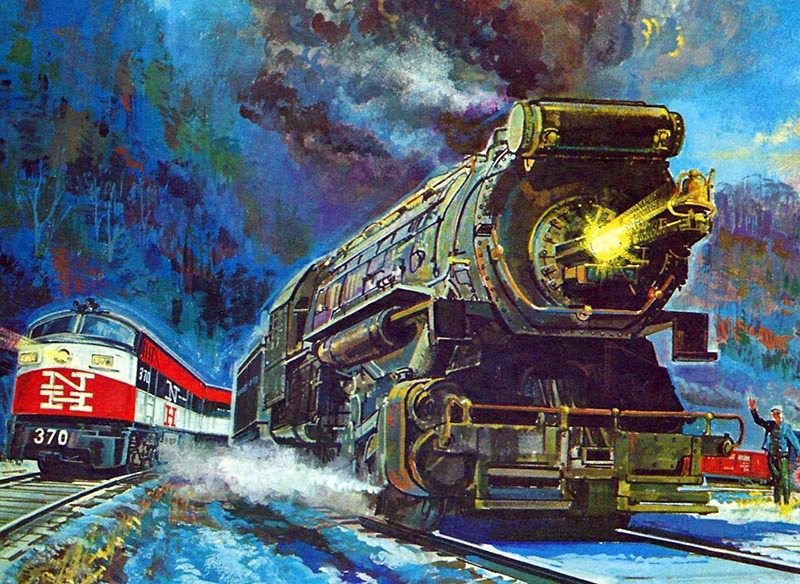 This illustration shows Rivarossi’s early HO-scale Baldwin 2-8-0 that was given modifications to better match the appearance of American prototypes. The model was based on an Italian State Railways example and is a product of the mid-to-late 1950s. Individuals present at the time, described one of the early meetings between Bernie Paul and Alessandro Rossi to me. Picture Mr. Paul with his big cigar puffing away in the office of Alessandro Rossi, who was behind a big desk. 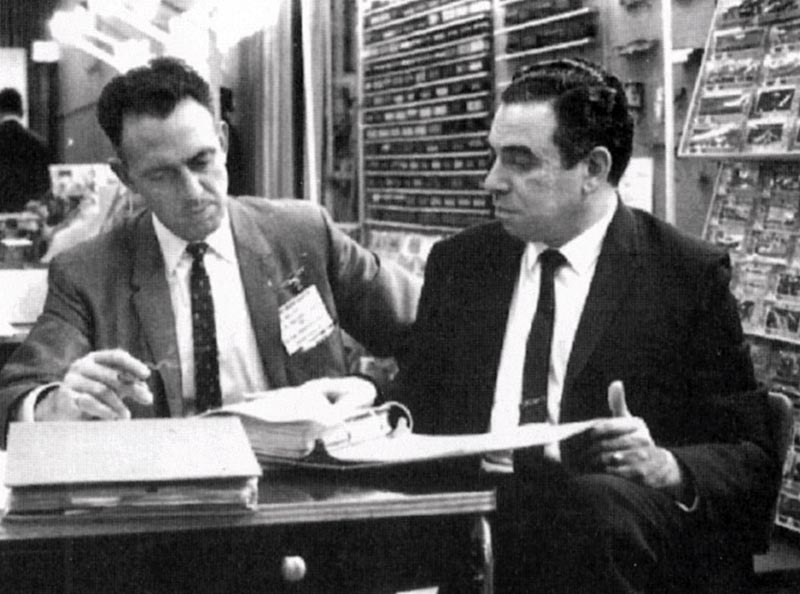 Paul proposed introducing a new Rivarossi locomotive to be made for AHM to sell in the U.S., and Rossi was computing the cost of production to determine the selling price. He announced that the model would have to sell for $49.95 to the hobbyist. It was agreed that the first production run might break down to 20,000 units to be delivered the first year and 10,000 per year after that until the contract was filled. This was a typical arrangement for contracts in the industry. One of the most common examples of early HO plastic cab units is this C-Liner. Though Fairbanks-Morse’s prototype was not a big seller, model versions came to the U.S. in the early 1950s from Aristo-Craft, later from Lionel, followed by AHM, and most recently from IHC Hobby. Rivarossi only produced the earliest C-Liners sold in North America. By the early 1960s, a Yugoslavian manufacturer took over production. Bernie Paul had a lot of nerve (possibly another qualification for making a fortune), in fact, probably more nerve than money, for it must have seemed that not even all the hobby shops in North America could possibly sell that huge number of HO locomotives, even over the course of several years. Yet the only way to pay for this huge project was to find some way to find customers to buy all of these engines. At this point, I should mention that through the years, Bernie Paul made fortunes, and in various turns of events lost fortunes, but then turned around and made fortunes again, coming up on top time after time. On return to the U.S. from his meetings with Rossi, Bernie Paul obtained an interview with the F.W. Woolworth chain. 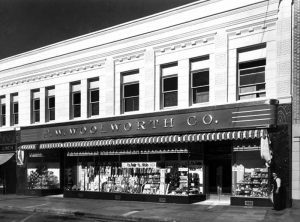 Older readers will remember Woolworth as the originator of the five-and-dime store, and was at one time, the largest department store chain in the world. It was a fortunate manufacturer that got a contract with Woolworth for they would sometimes buy a manufacturer’s entire production for a year or more at a time. Bernie Paul brought some beautiful samples of Rivarossi model trains to show the Woolworth people and mentioned the low pricing structure he had worked out. The Woolworth purchasing executives were impressed, but said that they were satisfied with the inexpensive tinplate Marx O27 toy trains the store was selling. Bernie Paul was confident that Rivarossi trains would be a big seller and proposed that he be given a table in the flagship Woolworth store in Philadelphia, AHM’s home city, for two weeks before Christmas. He offered to stock the table and would supply the salespeople. At the time, the commercial value of space in this large store could probably be calculated by the square inch. It must have taken all of Mr. Paul’s charm and sales skill, but he sold Woolworth on the idea. Read the rest of this story in the 2017-4 issue of HO Collector!